We wanted to let you know that all three sisters have now received their crates of goods and to let you know how pleased we are with the work your company did in getting everything to us in wonderful condition. We're so glad we found you and that we were able to bring home so much of our Mother's belongings It was a pleasure working with John. Thank you again for such good service. my crate arrived yesterday evening and we uncreated it today. Everything arrived in tact and was so well packed I don't think anything moved at all during transport. The ugly clock even began ticking as soon as I put the pendulum back in and is keeping great time! It has been a pleasure doing business with you and your company. Thank you for helping my family treasures find a new home. Thanks for the note! The crates have arrived and everything looks good. Really appreciate your help and we're glad that we've chosen you for the relocation of our equipment! Good news Walktopus arrived in perfect condition, must say it was incredibly packaged, extremely impressed by your work and how everything went so smoothly, thanks so much! It is so nice to hear from you! Yes we delivered everything to the site and all nicely displayed and installed. Thank you and the team for all your efforts and support and hope to do more business with you in future. The crates were received yesterday and damage free. Thank you for the great fabrication job and meeting our delivery target. Wanted to let you know that I was able to re-use your crate quite easily to ship my second tester back down to Chandler. 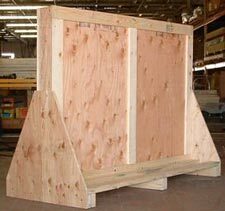 In fact, yours was the best built crate I have seen and the ramp/door was fantastic. I was able to lock it in and re-use the 2"x4" bars to hold down the equipment. A real pleasure to work with. The crate arrived safely. 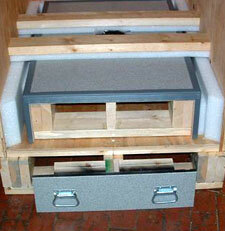 I have received crates and made crates for overseas shipment. I must say, your crate was the best packaging I have ever encountered, and better than I made myself. Very well designed and assembled. Excellent labeling, and enough fasteners to build a small house. WOW!! Thank you for taking such good care of my family heirloom. While the actual value may not come close to the sentimental value, I was very impressed with the care taken to protect my mother's hope chest. Please forward my appreciation to anyone involved in the process. i just received my desk in perfect order!! i wanted to thank you all for making our journey out to tucson to clean out my great aunts warehouse that much easier. you all were so professional and so very nice... thank you again. 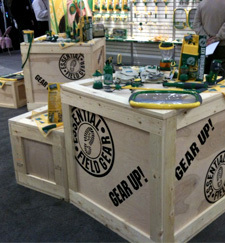 Our New York Toy Fair 2010 booth was a huge success! This is of course due in part to the wonderful crates you provided. Thank you for working with our tight deadline to make this happen...the whole Summit team is truly grateful! 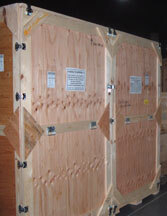 I've attached a photo of your crates in our booth. I wish I could express in just an email how grateful I am to you and your staff. I found your service incredible. You communicated clearly and consistently. You were very flexible and had great attention to detail. Having only seen the project once and in its complete form, you did an excellent job deciphering its diverse crating needs and creating a space for each individual piece of the mixed media exhibit. You were extremely helpful and thoughtful in making the finished product as appropriate and easy to work with as possible. The folks at the Arizona State Museum were very impressed with your design and vowed to recommend your company to their fellow staff and clients. I too was so impressed and have felt lucky and grateful throughout this entire process. I want to share with you information about an incredible company in Tucson that fulfilled all of my needs regarding packing and crating and if you ever need similar work done, big or small, they are the ones to go to. They are in Tucson, called Caseworks, and I worked with them to have a crate built for The Border Project. I used a big chunk of my latest grant, Individual Development Account through Catholic Services. Caseworks gave us a HUGE discount and their service and communication was amazing. I feel very lucky to have worked with them. Please share their name with others for any type of crating and packaging work. They remodeled a used crate to fit the specific dimensions and needs of The Border Project and the finished product is stunning. The folks at Arizona State Museum were very impressed with the design. I attached some pictures if you would like to take a look at their work and I am happy to show off the crate too if you would like to see the interior. It is in storage here in Ajo. I knew handling, packaging, and shipping 10 "one of a kind" stone sculptures to the middle east would be no easy project. I needed someone I could rely on. I found Caseworks and after talking with Lester Weinman I knew the job would be done right. They worked closely with me and were patient with me as I placed the sculptures in the cartons and photographed the crating. Thank you Lester. I slept great last night. 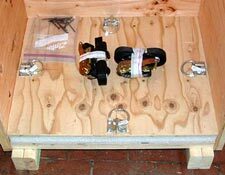 The crate arrived unharmed and the contents were secure in what seemed like a very simple method of crating the contents. However, I quickly realized it was secured by a talented team of experts. Thank you Caseworks!!! Job well done everyone involved. The driver said that this was the most secure shipment he'd ever hauled, and the boss at Herren's said that they could probably learn a thing or two from how you guys put this together - he said it was like they were being shipped overseas. Very impressive! I spent the day traveling to NYC - my plane was delayed for 3 hours! just now catching up on email. Thanks again! For the kind, understanding treatment and getting the work out so quickly. Caseworks is an absolute local treasure. I wish you guys nothing but the best in beautiful 2013. See, you when I get back Tucson. The crate arrived today. It is absolutely perfect! Thank you very much for getting it out on time. It arrived this morning, is already packed up and is being shipped out in about 10 minutes. Lester and John, Receive the piano today, got the crate open, and the piano set up in the house. The crate was intact and your crating job was excellent. I liked the way everything was secured with wood and protected by foam. The piano bench was wrapped in bubble wrap so good, it took awhile to open it. Thank you for doing such a superb job!! Re: the crate with the Walktopus sculpture to U.K. Thank you very much! I've forwarded the information on to the recipient. I must say, Caseworks has the best customer service of anyone I've worked with. Much appreciated! The crate arrived and it looks great! Thanks so much for your help! I wanted to take the opportunity to thank all of you for helping me with the shipping of my scientific equipment from the U of A. The equipment arrived on time and intact. The packaging of the electronic parts was done very well. You all were very nice and helpful to me in arranging the shipment. Again, thank you very much and it was nice doing business with you. I remember thinking how in the world will I get this thing clear across the county. When I saw the crate, I knew the kachina stain glass would be in perfect condition. The crate was awesome. Caseworks is the one of most professional companies I have ever worked with. You all are so easy to work with. And you work fast. Thank you. My name is Zev Geffen and I am contacting you because I believe that too often good work can go unnoticed. Recently I had some books of considerable sentimental value sent to me here in Israel from my mother's home in Tucson. This shipment was prepared and sent here by Caseworks Crating and happened to coincide with several Jewish high holidays which tends to slow things down quite considerably here in Israel, specially things having to do with deliveries and coordination between different companies and/or government offices. I want to let you know that the Caseworks employee, John Bishop, who was my contact person and kept me updated regarding this delivery was patient, responsive and followed up in an excellent manner throughout the entire process. I am certain that you can appreciate how this behavior represents your company very favorably and encourages repeat business as well as new clients through word of mouth. I know that, due to the positive experience I have had with Caseworks as a result of John's attention and effort, I would feel very comfortable recommending your company to friends and relatives should I hear that they were in need of the services you provide. And, I would suggest that they specifically ask to deal with John . I hope that you will pass along my appreciation to John and that this email can be attached to some sort of employee file so that the person responsible for conducting his next employee review may give it's message thoughtful consideration. I would like to say thank you and wish you, John, and your entire team at Caseworks a happy and prosperous holiday season. Our crate arrived today and I have to say GREAT JOB! I am very pleased with the crate. It came exactly as we ordered and is even better than I thought it would be. The quality in my opinion is great. The lettering looks very professional/the locks- hinges are just as you said "excellent quality." I thank you very much for getting this done in time for us. It's so nice to do business with true people, and true you were. Everything you said is what you did. I am very happy with your service. You can bet that we would recommend your company. Thanks so much for the new crate. It is better than we could even hope for! We look forwared to working with you on our next project. Just wanted to say Thanks and give you all an ‘atta-boy’ pat on the back. GREAT job!!!!!!!!!!! Please let Lester and anyone else who was involved with our order know how very much we appreciate it. No doubt, we will be a returning customer. The shell arrangement arrived in Baltimore in complete form!!! Thanks. My mother was so pleased to see it on her bedroom shelf when she got here. Thanks for the TLC you provided and with such quick turn around. The crate arrived undamaged and looks great. It's exactly what we wanted. Thank you and your team for the exceptional job your company has done in ensuring the safe delivery of our fossil. The fossil was in perfect condition, Thank You. Next time we visit we will gladly use your professional services for shipping any fragile goods. You have been excellent to work with since the beginning. 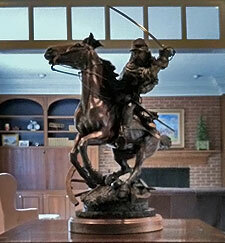 Your detail is explicit and I have learned a lot about shipping services along with crating. I would recommend your service to anyone that would benefit from your services. Thanks for all of your help on this. You guys are the best! Lester have I told you lately how much I love you and your endless solutions to my really random problems?! We would LOVE to please please please store our crates with you. Thanks SOOO much for all your help on this!!!! I want to thank you for your candor. It is quite refreshing to have a salesperson, especially the Sales Director, suggest to a potential customer, for the customers benefit, that their needs may be better served by a competitor. Just like Kris Kringle in Miracle on 34th Street. I was/am aware of your location. I was looking to purchase a particular bike located nearby and havi it shipped. I have abandoned my pursuit of that particular bike so I will not be needing you services. At least at this time, but wanted to . Once again a Big Mahalo and Aloha for your candor and efforts. I wanted to let you know that Kayla received her boxes on Thursday, Sept 16 everything was perfect. Thank you for your help and expertise in helping us get Kayla settled in Montana. I will definitely be recommending your services at every opportunity. I just want to drop you a quick note to thank you for the excellent job in getting the donation shipped to OK. The driver was very competent and hard working. He made it easy to get everything on the truck and I really appreciated that. I appreciate everyone's cooperation and being on time with the pickup, too. Caseworks always does a terrific job for us and I am grateful! Please let me know when you have a final weight on the shipment if you ever get one. We got the crated imaging table, all looks good!!!! Very good crate and crating job, we really appreciate the excellent work your company did for us, we will definitely use your services again!!!!!!!!!!!!!!! The crates arrived today and Fed Ex sent just one man to unload.. he did have a lift gate and a pallet jack.. I had a strong friend over to help and they managed to get them up the stairs to the front door. The shock watch and tip and tell's all were good, I opened the front of the stained glass crate and all is well! The stove is uncrated and in the house. Well done! Both the crate design and construction was perfect for the protection of the stained glass panel and the straps and hooks that held the stove were ingenious. A big thanks to Tom Gernentz for the loading and securing of these items. The stove arrived in perfect condition even the isenglass was intact. Thank you. Overall, Fed Ex should have known better to have just sent one man to deliver these considering we paid extra for the "residential" delivery and I had had conversations with their office staff in Portland to make sure they knew what they needed to do and that stairs and a deck were involved and that they needed to come to the front door. Had they been heavier we would have been in trouble. Today I sighed a big sigh of relief for such a group effort to come off without a hitch. Thank you Stephen for doing what you do and for working with me and my sister to make this happen. Stacey - thanks for helping me get these to Oregon, I know I am not always "rational, reasonable and unemotional" about these things.. they touch me inside where I am sentimental and that isn't always rational, but thanks. I appreciate you all and what your part was to get this done. Thank you! 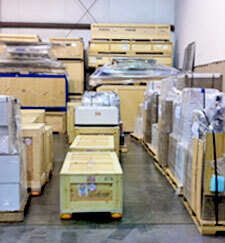 I also want to say how impressed we were on how Caseworks crated our other purchases of equipment from DoveBid. Fantastic job and very well done! Thank you, John, for the update. We have been extremely pleased with your service and would highly recommend Caseworks to anyone in the need of handling, crating and shipping equipment. Well done! I just wanted to pass along a huge THANK YOU! The crates and pedestals turned out better than advertised. I took photos of them the day they arrived and failed to get back to you with our thoughts before leaving for vacation. The enclosures have been mounted to the pedestals and photos were taken last week for official literature and show promotional materials. They look great! We will certainly look to your company in the future if and when we have more crate/display needs. I will be taking your contact information along to the show in case we need to refer other companies to you. Thanks again for getting these turned around and let your team know they did a fantastic job! We have worked with Caseworks for about two years now and no matter what type of work we are doing with them, whether it is getting crates fixed or arranging transport to and from trade shows all around the world, they have always given us amazingly excellent customer service. Lester and his team are exceptionally friendly and helpful no matter what the question or what time of day it is. Caseworks is the only crating and shipping company that I have complete faith in - you know that if Lester and his team are on the job, it will turn out better than expected and everything will be taken care of - even the things you hadn't thought about. Lester is a wealth of knowledge and is really good about giving shipping advice - I've called him several times for help and have always come away feeling calm and confident, because he has taken the time to explain the process to me. 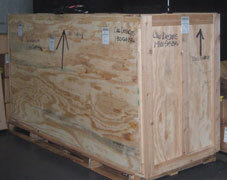 Not only are Caseworks great with shipping - they are also make some of the best crates. We have had two of our crates fixed with them and both crates have lasted much longer that we ever expected. The crating team know what they are doing and will create a crate specifically designed for your goods and how you use them. Throughout the whole design and construction process - I was constantly given progress reports and once it was completed, they even followed up with a courtesy call. The level of communication with Caseworks is fantastic - they are the only company that I have never had to chase up. They are so good at letting you the status/location of your crates or shipping that if you ever have to use someone else, you'll end up wishing you hadn't. The Caseworks team are a fantastic bunch and because I know that Lester and his team will do whatever they can to help - Caseworks is the only crating and shipping company that I love using and the only company I ever recommend. The job looks fantastic! Thanks for taking great care of us. If there is anything we can ever do for you in wholesale jewelry gifts, please let me know. We will take good care of you. Thank you so much! I am very very happy to have the dishes. They had told me they are complete and in good condition, just as they were shipped. I will be sure to contact you if there are any more shipments and I will be happy to recommend you as well. My matching Condos have arrived!!!! Whoa BIG!!! They look fabulous!!!!!!!!!!!!!!!!! THANK YOU ALL! I appreciate all of your hard work. My niece is euphoric about "the crate" and its contents. Last time I talked to her, her husband was framing a roof for the crate so it could become a playhouse for their kids. Thank you, again for a spectacular job. And they look absolutely AWESOME!!!!! Thanks to all, Lester, great job, they are perfect. We received the crates this morning. The instruments fit perfect. Thank you for your help in making sure they fit properly and for getting them to us so quickly. You were right, your crate held up brilliantly. If you ever need a reference for a trade show crate sale, you can definitely give out my name/email/phone. You exceeded our expectations. Last year when we purchased our trade show booth the trade show booth company sourced a local crate for us to use for the show (in the attached pic you can see your crate and the crate that held our booth). Unfortunately the crate that was selected for us for the booth was crap and it hardly made it back to our warehouse in Chicago, where it sits now un-shippable. As a matter of fact, the crate was so badly damaged in transit that most of the contents were slightly damaged on one end. We are therefore requesting the booth maker to supply us with a new booth (which we'll have to pay for unfortunately) and we'll use the damaged booth as spare parts. So, long story short we would love it if you could build us a new crate for the new trade show booth. Thank you again. We were all standing in our warehouse the other day and were admiring how well your crate held up (it's SOLID). You did a great job. I want to thank you for the amazing care you took, as well as others in your business to make sure that my glass paintings made it safely all the way to the Virgin Islands. My husband and I are living in our beautiful new home with my favorite art (Thanks to You!) You guys were amazing. I Just wanted to confirm receipt of the case and it looks great! I am shipping directly to Boston for our first show. Thanks for a great product. Hadn't told you, but thought you'd all like to know that the crate (and contents!) arrived just as packed. I know you got the delivery notice, but it's just as I remembered seeing it in the late 70's. Thanks for a job well done! makes me feel very much at ease. Now all I have to worry about is surviving the show!